The blood you see staining a zombies skin and dribbling out of its mouth could be that of a recent kill or the dead, decaying blood that still drips from the zombie itself. Or, perhaps it came from Zombie Black Blood Capsules! 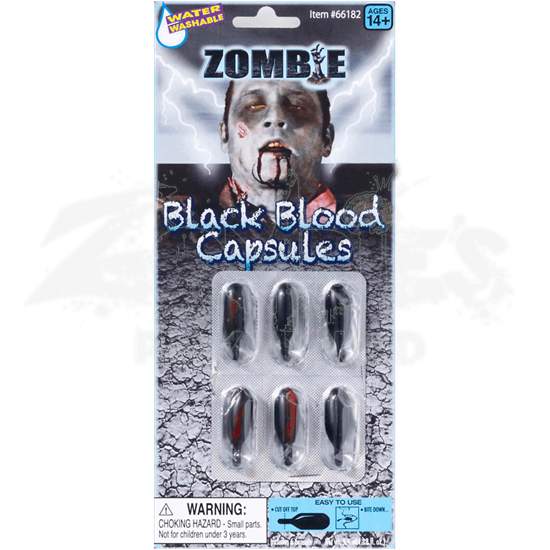 You will never know, because these capsules are filled with realistic looking blood that is designed to look as though it came from actual zombies. It even flows and stains like real blood should, although coming from a zombie, it does have a darker, blacker appearance, which makes it look like dead blood, rather than vibrant, red blood. Simply cut the tip off of a capsule, place the capsule in your mouth, and bite down, before letting the black blood coat your teeth and drip down your chin, giving you the ravenous and blood-stained look of a true zombie! 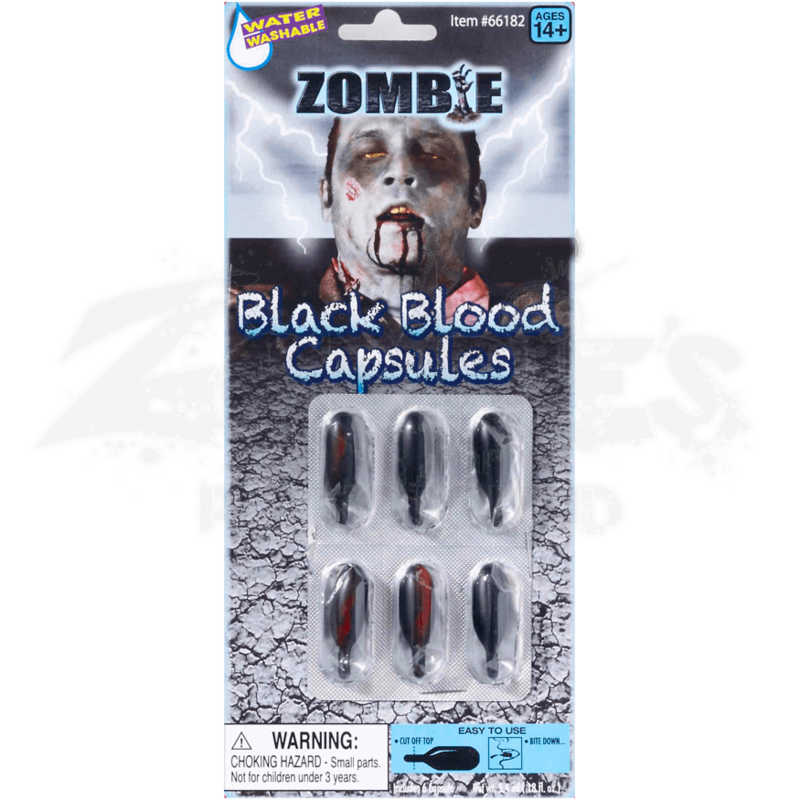 No zombie costume could be complete without a few of these Zombie Black Blood Capsules on hand, because you never know when you will have to put on a convincing act of feasting on a survivor!